Mix sauce, set in fridge. Mix meat mixture. Butter Spray LARGE muffin pan. Press meat into each. Drizzle a little Sauce Mixture over top. Bake at 425-450 about 45minutes. Top onto bun with toppings of choice and GOOD AMOUNT of Sauce. Notes: Low Carbs.? Try over spinach, onions, and tomato… Drizzled with sauce. Skip bun! Or serve in Cabbage Leaf (Boiled), or Lettuce Leaf… As wrap! Mix well, the above ingredients, minus the oil. Brush large cup muffin pan LIGHTLY with Hot Chili Oil. 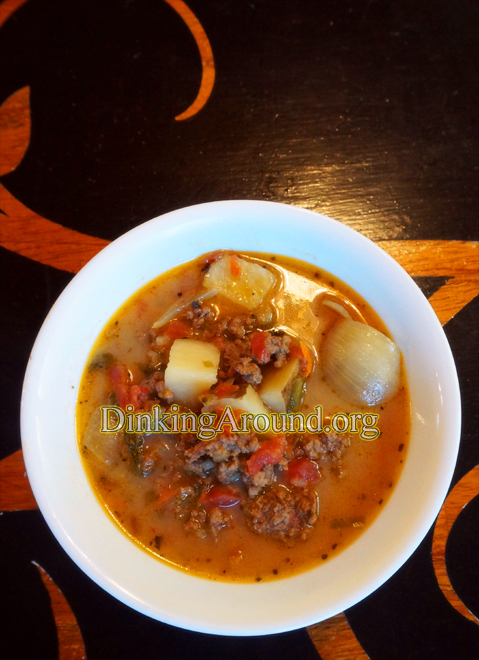 Spoon in meat mixture. Cover with foil. Cook at 450 for 40-45minutes. SERVE ON Sesame Seed Bun. With Tomato and Lettuce. Spread MAYO. AND drip a spoonful of MILD TACO SAUCE!!! Yes. Don’t skip that!!! 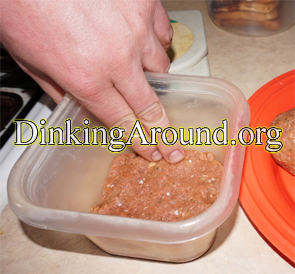 *To cut calories, we sometimes mix with half/half turkey meat and hamburger meat-1lb. each. Doubling recipe/ingredients. Cook thoroughly! Also fresh herbs are usually doubled in amounts. Premake sauce ahead of time. Place in fridge. 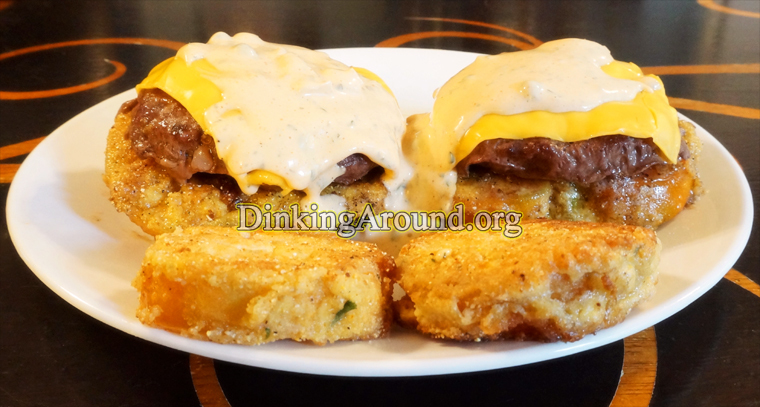 Cook burgers, place cheese on top to melt. Mix up batter. Beat egg and creamer in separate bowl. Heat oil on skillet. Place tomatoes in batter, then egg mix, then BACK into batter (Careful not to lose it, I usually don’t flip it. just place batter on top press lightly), then into oil. Fry both sides til nicely browned. 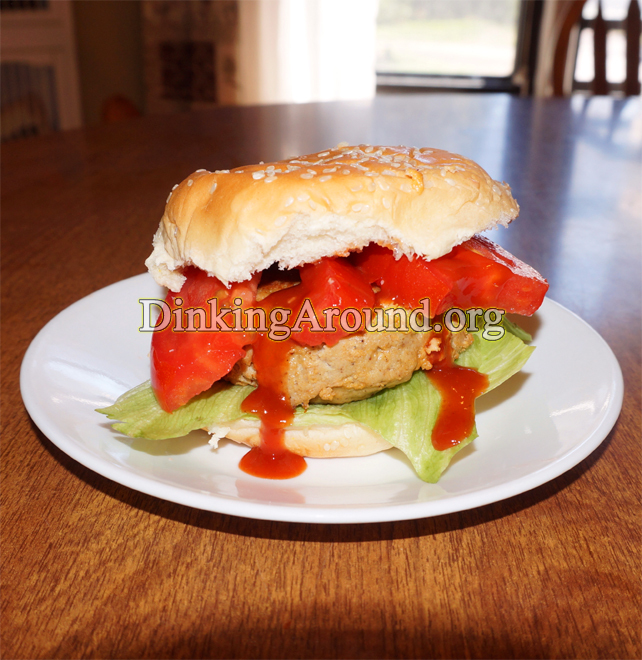 Place cooked turkey burgers onto tomatoes. Pour sauce over top. I serve 1 burger on top 1 tomato, with extras on the side to eat. Eat with fork. Brown meat while seasoning with few good shakes of Garlic Powder, Basil, Course Black Pepper, Onion Powder. Add onions. Melt in velveeta. Add in salsa. 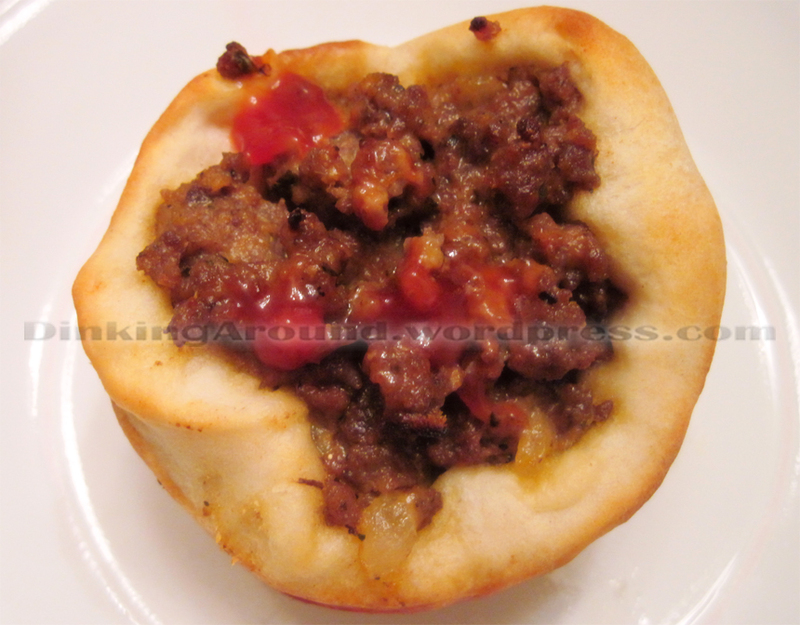 In muffin pan, push biscuits into holes (Like a cup), spread a little ketchup onto bottom, top with hamburger mixture. Bake accordingly. TOP with ketchup. 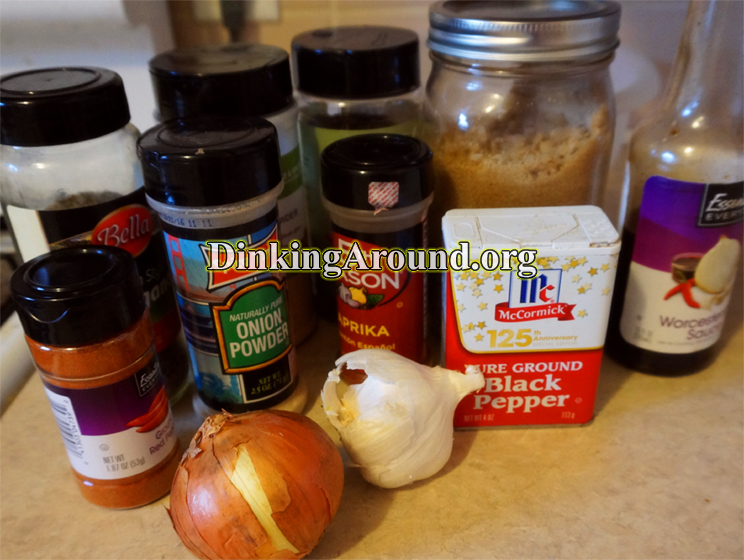 Sprinkle lightly with Garlic Powder. Serve.